Arun Thapa Biography. Life Like a song Arun Thapa.You are here to know about the great Nepalese personality who contributed Nepalese in the sectors of writing, music, song, etc.We can know from the life history of Arun Thapa. He is the evidence that by singing very less numbers of song how a person can be popular from singing. Arun Thapa sang Ma roya pani timi hasidinu, Jati Maya Laye pani, Ritu Haru Ma timi and so on. Most of the songs of Arun thapa are heart touching which directly enter in the heart of every song lovers. He was popular from the land of Pokhara. First love of Arun Thapa was from Pokhara she was died in early age. Singer Arun Thapa was born in Calcutta, India in Jan 1952. His father was Ganju Prasad Thapa. Arun Thapa life was really different from others singers. He was unable to handle his life due to which his complete life was unhappy. Not only this because of family reason he was direct towards different life which was not in the favour of society. This directed life of Arun Thapa sent him to jail and even to the end of his life. His parents moved back to Nepal when Arun was 3 months old. He studied and grew up in Kathmandu, Nepal. He first studied in a school in Gana Bahal Tole then at JP School in Chettrapati. Later he studied in Turnbull High school in Darjeeling, coming back to complete his School Leaving Certificate (SLC) from Kathmandu in 1971. He later studied his higher education at Prithvi Narayan Campus. 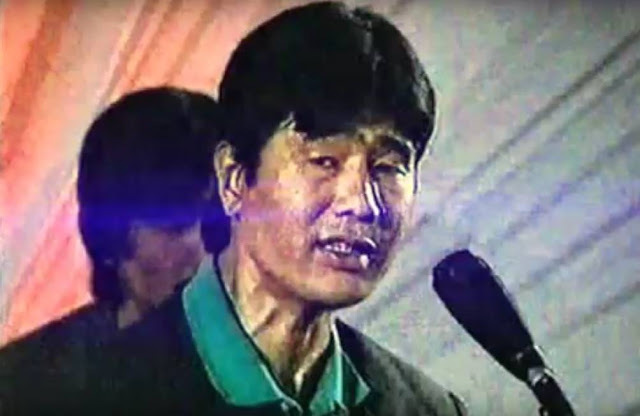 In any functions of College Arun thapa used to show his magic from his singing. At the annual function of College He sang Mera Jivan Kora Kagaj by which everyone attracted towards his voice quality. His first love story started from the same song with Bimala Palikhe. Pokhara for an Intermediate in Arts degree but soon dropped out to pursue a career in music. In 2034 he married with Bimala Palikhe Kathmandu Guwashowri Temple by going Against the family decision. His marriage ceremony was arranged by another popular singer Om Bikram Bista. Twist in the life started from time when Bimala Palikhe got married with another person after going to her parent home. He was uncontrolled and distracted due to this tragedy. After some time Arun Thapa again Married with Muna KC. His life with Muna was not smooth because he was distracted to another world which was far from this world. Also, In 2044 BS Muna left Arun Thapa from the married life. He was died due to suffering from various diseases like Hepatitis B, Liver Fail since he had no money for it's treatment in Kathmandu, Bagbazar in 2046, Shrawan, 5 At Kantipur Guest House Small Room.